Cooler temperatures have firmed up the snowpack which now has a breakable crust from Corrie level and above. 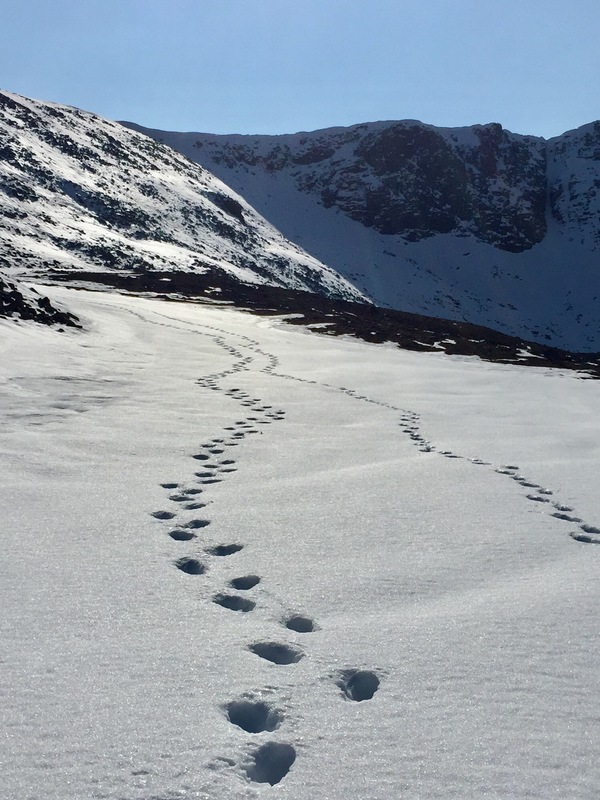 Crossing boulder fields is quite hazardous at the moment as the snow is still deep in these areas and there’s great potential to loose a whole leg down a post hole. 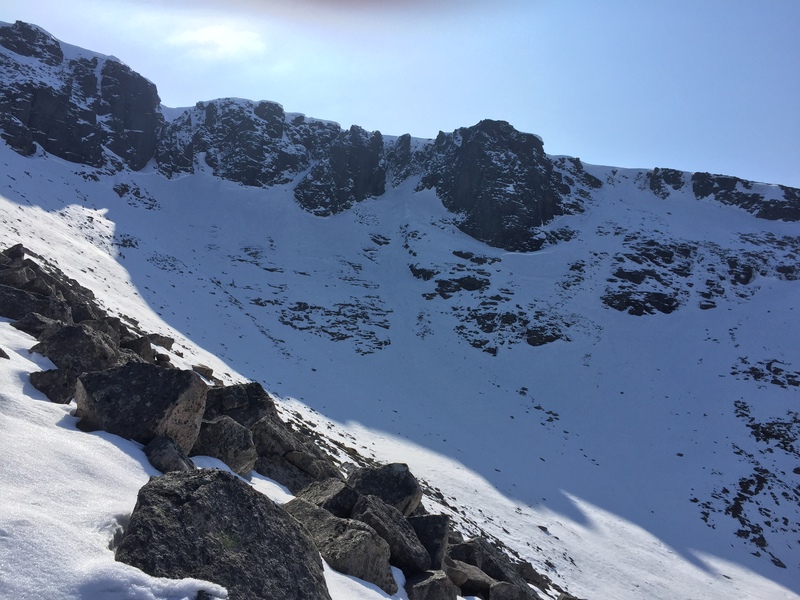 The Alladin’s and Fluted Buttress area of Sneachda, Goat Track to the right. Coire an Lochain. 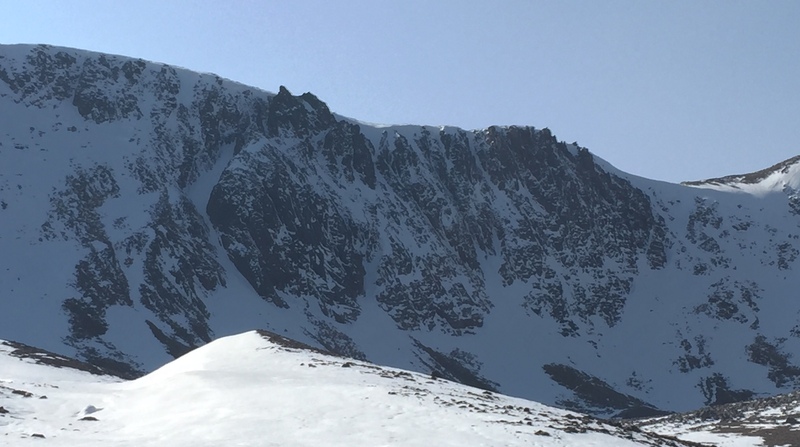 Two avalanche crown walls go the full length along the toe of the buttresses. The debris runs to the corrie floor. This happened last week during the snowfall.